Sizes: Limited by flange width and thickness, information needed for ordering, see cut sheet. * Additional hardware available upon request. 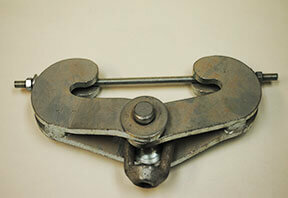 Often supplied with weldless eye nut. 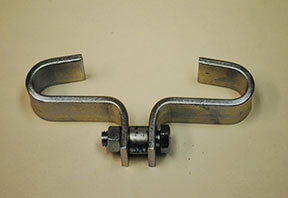 Components: Full beam clamp assembly, not including weldless eye nut.